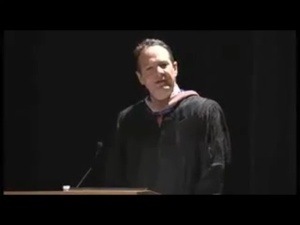 CEO of Zocalo Group Paul Rand recently gave a speech to the graduating class at Northwestern University in which he spoke about the value of Living a recommendable life. While this is a great headline based on a simple, beautiful insight... He goes on to deliver five key points for this class of future marketing and communication professionals to remember. 1. Develop a clear and purposeful story of how you want to be talked about and recommended. How do you want to be talked about — as a person, a son or daughter, a parent, a grandchild, a business leader? Live that way. The same thing applies to brands. 2. Live your brand. Think of yourself as a brand, one that’s worthy of a passionate recommendation by friends, family and coworkers. If you want to be recommended as a great friend, for example, make sure you’re always a thoughtful and caring one. 3. Be human. When you make mistakes, own it, fix what you can and ask forgiveness if necessary. 4. Stay engaging and interesting. Both on a personal level and when representing a brand, spend 90% of the time listening and engaging, and 10% of the time talking about yourself. 5. Evaluate and evolve, but stay true to your core. Lives and markets change. Take time to be introspective. Take ownership of your life and your brands.